From the California Historical Society Collection, about the time of the 1904 birth of my grandmother Consuelo Marin (Chavez) Stoltz in Chihuahua. The church in the background, is the Mission of Guadalupe, built by Fray Garcia de San Francisco in 1662 with a group of families of Christian manso Indians. 100 natives were baptized on it’s inauguration. 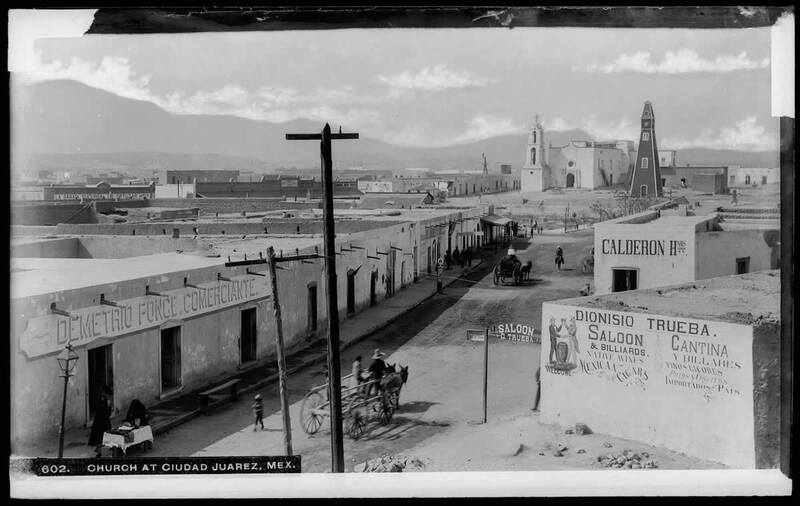 The city was just named Ciudad Juarez, from Villa Paso del Norte only 20 years before.